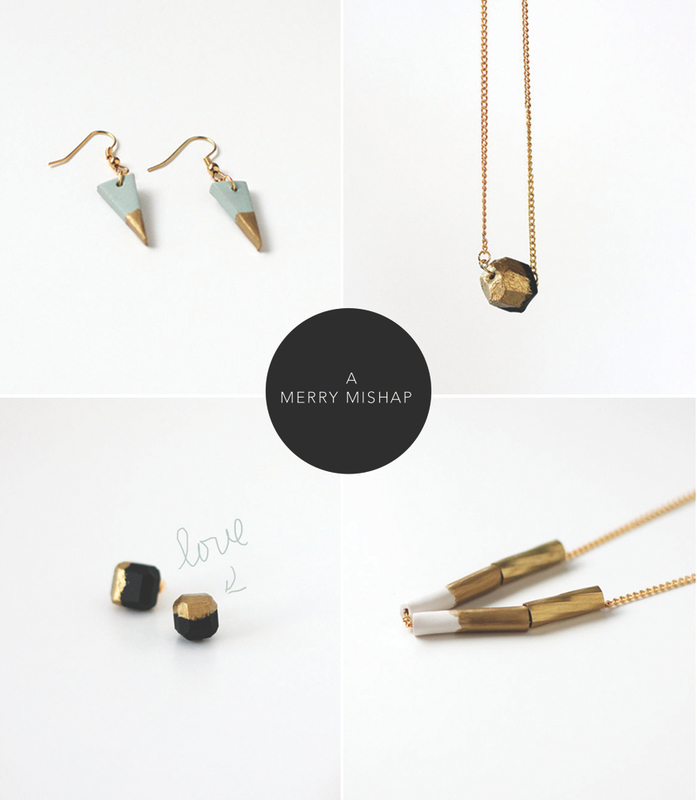 I’ve long been a fan of A Merry Mishap, both the blog and the shop. These are some of my favorite pieces in the Etsy shop right now. I’m especially smitten with those black and gold geometric studs. See more of A Merry Mishap here. xoxo! Oh my goodness..adorable things! Thanks for introducing me to this shop! :) And sweet blog! You’re welcome! Her blog pictures are so beautiful and her jewelry….if I could, I’d buy it all!